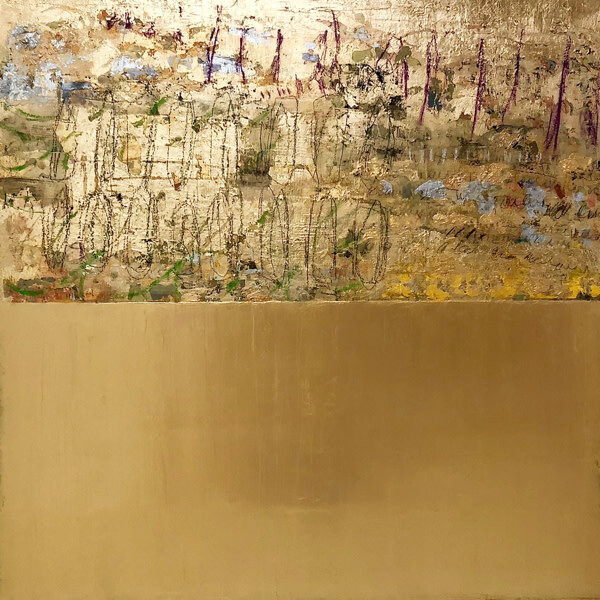 Takefumi Hori's practice is rich and varied in its execution with gold leaf being his media of choice. Working onto a base coat of gold acrylic paint, Hori layers clear gel mixed with pigment followed by gold leaf. The process of cutting, sanding and scratching then begins, repeated over and over again.